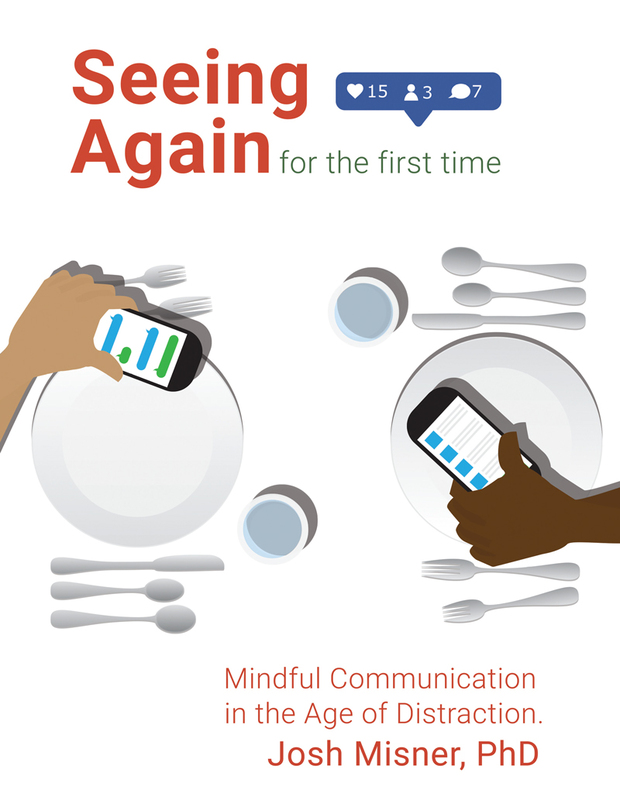 Seeing Again for the First Time: Mindful Communication in the Age of Distraction is designed to create an immersive, interactive, and, intimate experience between the reader and the text. Readers will do more than simply read and reflect as they embark on a journey into the realm of mindful interpersonal communication. Is designed to grow and develop the reader into a strong communicator and act as a guide for everyday interaction. Includes activities in each chapter that will often involve physically interacting with the book. Is specifically and methodically designed so that each chapter builds upon the last, and each part fits together like a puzzle. Dr. Josh Misner is a professor of communication studies at North Idaho College in picturesque Coeur d'Alene. As a result of studying the impact of mindful presence on father-child relationships while earning his Ph.D. at Gonzaga University, Dr. Misner began writing about how developing mindfulness through regular practice can build a stronger sense of self-awareness and foster significantly deeper and more rewarding relationships. A devoted husband and active father of four, Dr. Misner teaches practical, realistic methods to better savor each and every moment with the intention of earning a prominent place among our loved one’s future memories. "I loved the mental challenges this book presented to me. It was liking enjoying a nice puzzle. I felt like I was exercising my mind and boundaries and I walked away feeling like I had gotten in a good "work out." I learned that, even when I try really hard, mindfulness is hard to achieve and feels impossible. I learned some unfortunate things about my personality that need attention but I also learned that, when asked, my loved ones have a hard time coming up with criticisms or shortcomings of me, though they may well have been dancing around my feelings. I have thought and thought about what I would like to see more of and honestly could think of nothing. Perhaps, splitting AI and PD into two separate chapters." "I am so glad I purchased the book and get to keep it! Learning and feeling things about yourself and then being tasked with communicating that with others is quite the process. Communication, sending a message with the hope of the receiver interpreting your intention instead of misreading the message, it is arduous." "I am considering buying this book for my sister as a gift. It really didn't read as a textbook, but an easygoing self-help book, which is why I think many of us have considered it for gifts to others. I generally don’t keep my books, but this will definitely be one that I will refer back to when I lead groups in the future." "I appreciated the smaller chapters and found that I learned more with the condensed information than from textbooks I have had previously. Most of my textbooks take hours to read the content of the week and I can barely see straight, let alone understand what I read by the end. This was straight to the point, which I really liked and comprehended more." "In previous self-reflection assignments, the textbooks were huge and not relatable. I dreaded doing my homework. This book was completely different. I could read the entire chapter in less than thirty minutes and the activities were relevant. I did not want to skimp on them and shortchange myself on this experience. This book helped me stay focused on my goals and find center."